Speaking from Bilbao, where he watched the Liga Endesa game between the local team and Sevilla, Francisco Roca, president of the Spanish club association (ACB) attacked FIBA Europe for its decision to ban the Spanish national team from Eurobasket 2017. As he said: “ACB is available to the Spanish federation in order to help develop the appropriate arguments to reverse this decision which seems to us absolutely disproportionate. The severity of the sanction to these federations not bear any relation to the alleged infringement. It is unfair and unfounded. Do not forget that in the press release of FIBA Europe on the 20th of March, which is where all this nonsense started, an exception of the 16 teams participating in the Euroleague was made. So you can participate in the Euroleague without any sanction, but when you play in the Eurocup you have to be punished? The model proposed by FIBA last summer was a league of 16 teams in which 8-9 teams had a guaranteed place. Essentially it’s the same model which was implemented by the Euroleague. “That makes impossible to understand the arguments of FIBA in order to impose this sanction”, underlined Roca. “It is absolutely false that the Liga Endesa clubs can not participate in the Basketball Champions League. What was approved in the last general assembly was the acceptance of the offer made by the Euroleague, while maintaining the right and freedom of the clubs to participate where they wish. We urge FIBA to reconsider and reverse its decision, as we consider it disproportionate and lacking in legal basis. I am convinced that Spain and other sanctioned federations will compete in the Eurobasket 2017 ” . 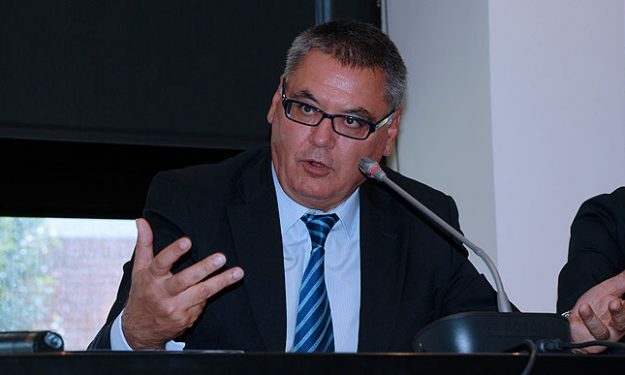 The president of Herbalife Gran Canaria, Miguel Betancor also expressed his amazement with the decision made by FIBA in La Provincia .”Threatening is not the solution you need in European basketball. It was surprising. It reminds me of old models that belong to another era. The sport has evolved greatly in recent years. You cannot employ outdated management models”, said Betancor.